Harvard Law School is one of the professional graduate schools of Harvard University located in Cambridge, Massachusetts. Founded in 1817, it is the oldest continuously operating law school in the United States and one of the most prestigious in the world. It is ranked first in the world by the QS World University Rankings and the ARWU Shanghai Ranking. Each class in the three-year J.D. program has approximately 560 students, among the largest of the top 150 ranked law schools in the United States. The first-year class is broken into seven sections of approximately 80 students, who take most first-year classes together. Harvard's uniquely large class size and prestige have led the law school to graduate a great many distinguished alumni in the judiciary, government, and the business world. According to Harvard Law's 2015 ABA-required disclosures, 95% of the Class of 2014 passed the Bar exam. Harvard Law School graduates have accounted for 568 judicial clerkships in the past three years,[when?] including one-quarter of all Supreme Court clerkships, more than any other law school in the United States. Harvard Law School's founding is traditionally linked to the funding of Harvard's first professorship in law, paid for from a bequest from the estate of Isaac Royall, Jr., a colonial American landowner and a slaveholder. Today, it is home to the largest academic law library in the world. The current dean of Harvard Law School is John F. Manning, who assumed the role on July 1, 2017. The law school has 328 faculty members. Harvard Law School's founding is traced to the establishment of a "law department" at Harvard in 1817. Dating the founding to the year of the creation of the law department makes Harvard Law the oldest continuously-operating law school in the nation. William & Mary Law School opened first in 1779, but closed due to the American Civil War, reopening in 1920. The University of Maryland School of Law was chartered in 1816, but did not begin classes until 1824, and also closed during the Civil War. The founding of the law department came two years after the establishment of Harvard's first endowed professorship in law, funded by a bequest from the estate of wealthy slaveowner Isaac Royall, Jr., in 1817. Royall left roughly 1,000 acres of land in Massachusetts to Harvard when he died in exile in Nova Scotia, where he fled as a British loyalist during the American Revolution, in 1781, "to be appropriated towards the endowing a Professor of Laws ... or a Professor of Physick and Anatomy, whichever the said overseers and Corporation [of the college] shall judge to be best." The value of the land, when fully liquidated in 1809, was $2,938; the Harvard Corporation allocated $400 from the income generated by those funds to create the Royall Professorship of Law in 1815. The Royalls were so involved in the slave trade, that "the labor of slaves underwrote the teaching of law in Cambridge." The dean of the law school traditionally held the Royall chair, deans Elena Kagan and Martha Minow declined the Royall chair due to its origins in the proceeds of slavery. Nevertheless, Royall’s legacy at Harvard is lasting, Harvard Law School adopted the Royall family crest as apart of its school crest. That crest features as blue background, with three bushels of wheat. Until recently the connection of the seal to the slave owning Royalls was unknown to many. According to The Harvard Crimson "Most Law School alumni and faculty were unaware of the story behind the seal." In response to its ties to slavery, Harvard Law School decided to stop using the Royalls seal. It has yet to design a replacement seal. Royall's Medford estate, the Isaac Royall House, is now a museum which features the only remaining slave quarters in the northeast United States. The Royall family coat-of-arms, which shows three stacked wheat sheaves, was adopted as the school crest in 1936, topped with the university motto (Veritas, Latin "truth"). In March 2016, following requests by students, the school decided to remove the emblem because of its association with slavery. By 1827, the school, with one faculty member, was struggling. Nathan Dane, a prominent alumnus of the college, then endowed the Dane Professorship of Law, insisting that it be given to then Supreme Court Justice Joseph Story. For a while, the school was called "Dane Law School." In 1829, John H. Ashmun, son of Eli Porter Ashmun and brother of George Ashmun, accepted a professorship and closed his Northampton Law School, with many of his students following him to Harvard. Story's belief in the need for an elite law school based on merit and dedicated to public service helped build the school's reputation at the time, although the contours of these beliefs have not been consistent throughout its history. Enrollment remained low through the 19th century as university legal education was considered to be of little added benefit to apprenticeships in legal practice. After first trying lowered admissions standards, in 1848 HLS eliminated admissions requirements entirely. In 1869, HLS also eliminated examination requirements. In the 1870s, under Dean Christopher Columbus Langdell, HLS introduced what has become the standard first-year curriculum for American law schools – including classes in contracts, property, torts, criminal law, and civil procedure. At Harvard, Langdell also developed the case method of teaching law, now the dominant pedagogical model at U.S. law schools. Langdell's notion that law could be studied as a "science" gave university legal education a reason for being distinct from vocational preparation. Critics at first defended the old lecture method because it was faster and cheaper and made fewer demands on faculty and students. Advocates said the case method had a sounder theoretical basis in scientific research and the inductive method. Langdell's graduates became leading professors at other law schools where they introduced the case method. The method was facilitated by casebooks. From its founding in 1900, the Association of American Law Schools promoted the case method in law schools that sought accreditation. During the 20th century Harvard Law School was known for its competitiveness. For example, Robert C. Berring, Jr. called it "a samurai ring where you can test your swordsmanship against the swordsmanship of the strongest intellectual warriors from around the nation." When Langdell developed the original law school curriculum, Harvard President Charles Eliot told him to make it "hard and long." An urban legend holds that incoming students are told to "Look to your left, look to your right, because one of you won't be here by the end of the year." Scott Turow's memoir One L and John Jay Osborn's novel The Paper Chase describe such an environment. In addition, Eleanor Kerlow's book Poisoned Ivy: How Egos, Ideology, and Power Politics Almost Ruined Harvard Law School criticized the school for a 1980s political dispute between newer and older faculty members over accusations of insensitivity to minority and feminist issues. Divisiveness over such issues as political correctness lent the school the title "Beirut on the Charles." In Broken Contract: A Memoir of Harvard Law School, Richard Kahlenberg criticized the school for driving students away from public interest and toward work in high-paying law firms. Kahlenberg's criticisms are supported by Granfield and Koenig's study, which found that "students [are directed] toward service in the most prestigious law firms, both because they learn that such positions are their destiny and because the recruitment network that results from collective eminence makes these jobs extremely easy to obtain." The school has also been criticized for its large first year class sizes (at one point there were 140 students per classroom; in 2001 there were 80), a cold and aloof administration, and an inaccessible faculty. The latter stereotype is a central plot element of The Paper Chase and appears in Legally Blonde. In response to the above criticisms, HLS eventually implemented the once-criticized but now dominant approach pioneered by Dean Robert Hutchins at Yale Law School, of shifting the competitiveness to the admissions process while making law school itself a more cooperative experience. Robert Granfield and Thomas Koenig's 1992 study of Harvard Law students that appeared in The Sociological Quarterly found that students "learn to cooperate with rather than compete against classmates," and that contrary to "less eminent" law schools, students "learn that professional success is available for all who attend, and that therefore, only neurotic 'gunners' try to outdo peers." Under Kagan, the second half of the 2000s saw significant academic changes since the implementation of the Langdell curriculum. In 2006, the faculty voted unanimously to approve a new first-year curriculum, placing greater emphasis on problem-solving, administrative law, and international law. The new curriculum was implemented in stages over the next several years, with the last new course, a first year practice-oriented problem solving workshop, being instituted in January 2010. In late 2008, the faculty decided that the school should move to an Honors/Pass/Low Pass (H/P/LP) grading system, much like those in place at Yale and Stanford Law Schools. The system applied to half the courses taken by students in the Class of 2010 and fully started with the Class of 2011. 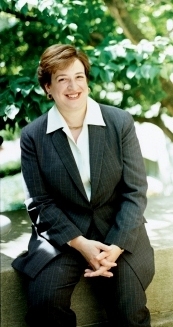 In 2009, Kagan was appointed solicitor general of the United States by President Barack Obama and resigned the deanship. On June 11, 2009, Harvard University president, Drew Gilpin Faust named Martha Minow as the new dean. She assumed the position on July 1, 2009. On January 3, 2017, Minow announced that she would conclude her tenure as dean at the end of the academic year. In June 2017, John F. Manning was named as the new dean, effective as of July 1, 2017. The acceptance rate was 12.8% in the 2017–18 admissions cycle. HLS is ranked first, with a perfect overall assessment score of 100.0, on the QS World University Rankings. It is also ranked first by the Academic Ranking of World Universities. More than 120 from the last five graduating classes have obtained tenure-track law teaching positions. Adjusted for student body size, this puts Harvard in second place among U.S. law schools, about 2 percentage points ahead of Stanford and Chicago (which tied for third place) but behind Yale. According to the Employment Summary for 2014 Graduates, 90% were employed in bar passage required jobs and another 4.4% were employed in J.D. advantage jobs. The total cost of attendance (indicating the cost of tuition, fees, and living expenses) at Harvard Law for the 2017–2018 academic year is $92,200. In 2016, the governing body of the university, the Harvard Corporation, voted to retire the law school's 80 year old arms. The arms, depicting three garbs (the heraldic term for wheat sheaves), was based in part upon the coat of arms of Isaac Royall Jr., a university benefactor who had endowed the first professorship in the law school. The shield had become a source of contention among a group of law school students, who objected to the Royall family's history as slave-owners. The president of the university and dean of the law school, acting upon the recommendation of a committee formed to study the issue, ultimately agreed with its majority decision, that the shield was inconsistent with the values of both the university and the law school. Their recommendation was ultimately adopted by the Harvard Corporation and on March 15, 2016, the shield was ordered retired. Harvard Law School has more than 90 student organizations that are active on campus. These organizations include the student-edited journals, Harvard Law Record, and the HLS Drama Society, which organizes the annual Harvard Law School Parody, the Harvard Legal Aid Bureau as well as other political, social, service, and athletic groups. In addition, HLS student body is represented at the university level by the Harvard Graduate Council. Students of the Juris Doctor (JD) program are involved in preparing and publishing the Harvard Law Review, one of the most highly cited university law reviews, as well as a number of other law journals and an independent student newspaper. The Harvard Law Review was first published in 1887 and has been staffed and edited by some of the school's most notable alumni. In addition to the journal, the Harvard Law Review Association also publishes The Bluebook: A Uniform System of Citation, the most widely followed authority for legal citation formats in the United States. The student newspaper, the Harvard Law Record, has been published continuously since the 1940s, making it one of the oldest law school newspapers in the country, and has included the exploits of fictional law student Fenno for decades. The Harvard Law School Forum on Corporate Governance and Financial Regulation, formerly known as the Harvard Law School Corporate Governance Blog, is one of the most widely read law websites in the country. Harvard's prestige and large class size have enabled it to graduate a large number of distinguished alumni. Rutherford B. Hayes, the 19th president of the United States, graduated from HLS. Additionally, Barack Obama, the 44th president of the United States, graduated from HLS and was president of the Harvard Law Review. His wife, Michelle Obama, is also a graduate of Harvard Law School. Past presidential candidates who are HLS graduates, include Michael Dukakis, Ralph Nader and Mitt Romney. Eight sitting U.S. senators are alumni of HLS: Romney, Ted Cruz, Mike Crapo, Tim Kaine, Jack Reed, Chuck Schumer, Tom Cotton, and Mark Warner. Other legal and political leaders who attended HLS include former president of the Republic of China (Taiwan), Ma Ying-jeou, and former vice president Annette Lu; current Permanent Judge of the Court of Final Appeal of Hong Kong, and former chief judge of the High Court of Hong Kong and president of the Court of Appeal, Andrew Cheung Kui-nung; former chief justice of the Republic of the Philippines, Renato Corona; chief justice, Sundaresh Menon; former president of the World Bank Group, Robert Zoellick; former United Nations high commissioner for human rights, Navanethem Pillay; and the former president of Ireland, Mary Robinson. Lobsang Sangay is the first elected sikyong of the Tibetan Government in Exile. In 2004, he earned a S.J.D. degree from Harvard Law School and was a recipient of the 2004 Yong K. Kim' 95 Prize of excellence for his dissertation "Democracy in Distress: Is Exile Polity a Remedy? A Case Study of Tibet's Government-in-exile". Sixteen of the school's graduates have served on the Supreme Court of the United States, more than any other law school. Four of the current nine members of the court graduated from HLS: the chief justice, John Roberts; and associate justices Neil Gorsuch, Stephen Breyer and Elena Kagan, who also served as the dean of Harvard Law School from 2003 to 2009. Ruth Bader Ginsburg attended Harvard Law School for two years. Past Supreme Court justices from Harvard Law School include Antonin Scalia, David Souter, Harry Blackmun, William J. Brennan, Louis Brandeis, Felix Frankfurter, Lewis Powell (LLM), and Oliver Wendell Holmes, Jr., among others. Attorneys general Loretta Lynch, Alberto Gonzales, and Janet Reno, among others, and noted federal judges Richard Posner of the Seventh Circuit Court of Appeals, Michael Boudin of the First Circuit Court of Appeals, Joseph A. Greenaway of the Third Circuit Court of Appeals, Laurence Silberman of the D.C. Circuit Court of Appeals, and Pierre Leval of the Second Circuit Court of Appeals, among many other judicial figures, graduated from the school. The former Commonwealth solicitor general of Australia and current justice of the High Court of Australia, Stephen Gageler, senior counsel graduated from Harvard with an LL.M. Many HLS alumni are leaders and innovators in the business world. Its graduates include the current senior chairman of Goldman Sachs, Lloyd Blankfein; former chief executive officer of Reddit, Ellen Pao; current chairman of the board and majority owner of National Amusements Sumner Redstone; current president and CEO of TIAA-CREF, Roger W. Ferguson, Jr.; current CEO and chairman of Toys "R" Us, Gerald L. Storch; and former CEO of Delta Air Lines, Gerald Grinstein, among many others. Legal scholars who graduated from Harvard Law include Payam Akhavan, William P. Alford, Rachel Barkow, Yochai Benkler, Alexander Bickel, Erwin Chemerinsky, Amy Chua, Sujit Choudhry, Robert C. Clark, I. Glenn Cohen, Ronald Dworkin, Christopher Edley, Jr., Melvin A. Eisenberg, Susan Estrich, Jody Freeman, Gerald Gunther, Andrew T. Guzman, Louis Henkin, Harold Koh, Richard J. Lazarus, Arthur R. Miller, Gerald L. Neuman, Eric Posner, Richard Posner, John Mark Ramseyer, Jed Rubenfeld, Lewis Sargentich, John Sexton, Jeannie Suk, Kathleen Sullivan, Cass Sunstein, Laurence Tribe, C. Raj Kumar and Tim Wu. The Paper Chase is a novel set amid a student's first ("One L") year at the school. It was written by John Jay Osborn, Jr., who studied at the school. The book was later turned into a film and a television series (see below). Scott Turow wrote a memoir of his experience as a first-year law student at Harvard, One L.
Many popular movies and television shows also feature characters introduced as Harvard Law School graduates. The central plot point of the TV series Suits is that one of the main characters did not attend Harvard, but fakes his graduate status in order to practice law. ^ Veritas appears on Harvard university's arms; heraldically speaking, however, a 'motto' is a word or phrase displayed on a scroll in conjunction with a shield of arms. Since 1692 University seals have borne Christo et Ecclesiae (for Christ and the Church) in this manner, arguably making that phrase the university's motto in a heraldic sense. This legend is otherwise not in general use today. ^ "Harvard University". U.S. News & World Report – Best Law Schools. Retrieved 15 January 2019. ^ Badenhausen, Kurt (March 8, 2011). "The Best Law Schools For Getting Rich". Forbes. Retrieved January 7, 2016. ^ Bennett, Drake (October 19, 2008). "Crimson tide". Boston.com. Boston Globe. Retrieved January 7, 2016. ^ a b "Top Law Schools in 2016". QS World University Rankings. 2016-03-17. Retrieved August 25, 2016. ^ a b "Academic Ranking of World Universities". September 27, 2017. Retrieved February 6, 2018. ^ "Best Law Schools". U.S. News & World Report. Retrieved January 7, 2016. ^ "Harvard Law School – 2015 Standard 509 Information Report" (PDF). Harvard Law School. Harvard University. Retrieved January 7, 2016. ^ "Brian Leiter Law School Supreme Court Clerkship Placement, 2000-2010". www.leiterrankings.com. Retrieved December 17, 2017. ^ "About". Harvard Law School. Retrieved January 7, 2016. ^ "The Harvard Law School Library". Library Tours. International Federation of Library Associations and Institutions. Retrieved January 7, 2016. ^ "Harvard Law School". Hls.harvard.edu. Retrieved December 17, 2017. ^ a b "Recommendation to the President and Fellows of Harvard College on the Shield Approved for the Law School" (PDF). Retrieved June 24, 2016. ^ "Quick Facts: W&M Law School". Marshall-Wythe School of Law. Retrieved August 24, 2007. ^ "The University of Maryland School of Law: Our History and Mission". The University of Maryland School of Law. Retrieved June 21, 2008. ^ Sven Beckert, Katherine Stevens and the students of the Harvard and Slavery Research Seminar (2011). "Harvard and Slavery: Seeking a Forgotten History" (PDF). Harvard University. p. 11. ^ Aidan F. Ryan (April 24, 2018). "Two Years After Law School Removed Royall Crest, No New Seal in Sight". The Harvard Crimson. ^ "Issues Archive | Harvard Law Today". Law.harvard.edu. Retrieved March 10, 2015. ^ "Harvard law school drops official shield over slavery links". The Guardian. March 4, 2016. Retrieved March 5, 2016. ^ "LAW SCHOOL HAS FINE PORTRAIT COLLECTION | News | The Harvard Crimson". Thecrimson.com. January 23, 1930. Retrieved March 10, 2015. . The school is called Dane Law School in an 1854 letter written by Rev. C.C. Jones to his son, Robert Manson Myers, ed., The Children of Pride: A True Story of Georgia and the Civil War (New Haven and London: Yale University Press, 1972), p. 42. ^ Clark, Solomon (1882). "Antiquities, Historicals and Graduates of Northampton – Solomon Clark – Google Books". Retrieved March 10, 2015. ^ a b "Book Note: Exploring the Organization and Actions of Legal Professions: Honor Seeking and Echoes of Political Revolution" (PDF). Harvard Law Review. 120: 1089. 2007. Retrieved October 25, 2017. ^ Bruce A. Kimball, '"Warn Students That I Entertain Heretical Opinions, Which They Are Not To Take as Law': The Inception of Case Method Teaching in the Classrooms of the Early C.C. Langdell, 1870–1883," Law and History Review 17 (Spring 1999): 57–140. ^ "Interview with Former Dean Robert Berring of U.C. Berkeley's Boalt Hall School of Law". Top-law-schools.com. Retrieved March 10, 2015. ^ "www". www.legaled.com. Retrieved December 17, 2017. ^ Glater, Jonathan D. (April 16, 2001). "Harvard Law Tries to Increase Appeal". The New York Times. Retrieved May 4, 2010. ^ Glater, Jonathan D. (October 7, 2006). "Harvard Law Decides to Steep Students in 21st-Century Issues". The New York Times. Retrieved May 4, 2010. ^ Mystal, Elie. "HLS Grade Reform: Splitting the Baby Was The Only Call". Above the Law. Retrieved March 10, 2015. ^ "Harvard Law School dean to step down - The Boston Globe". BostonGlobe.com. Retrieved January 4, 2017. ^ "John Manning to lead Harvard Law School". Harvard Gazette. June 1, 2017. Retrieved July 20, 2017. ^ Meyers, Alyssa (September 8, 2017). "Harvard Law unveils plaque to acknowledge slave labor". The Boston Globe. Retrieved October 6, 2017. ^ "HLS Profile and Facts". Law.harvard.edu. February 24, 2015. Retrieved March 10, 2015. ^ "10 Law Schools Where Accepted Students Usually Enroll". US News. Retrieved March 10, 2015. ^ "Brian Leiter Law School Faculty Moves, 1995–2004". Leiterrankings.com. January 31, 2011. Retrieved March 10, 2015. ^ "Recent Employment Data | Harvard Law School". Harvard Law School. Retrieved January 19, 2016. ^ "Employment Summary for 2013 Graduates" (PDF). Law.harvard.edu. Retrieved March 10, 2015. ^ "Standard Student Budget". Harvard Law School. Retrieved September 30, 2017. ^ Shammas, Michael (2016-03-04). "After Months of Advocacy and Debate, Harvard Law Recommends Shield Change". The Harvard Law Record. The Harvard Law Record. Retrieved January 3, 2018. ^ "Student Organizations and Journals". Hls.harvard.edu. Retrieved December 17, 2017. ^ "The Harvard Law Review — Glimpses of Its History as Seen by an Aficionado – The Harvard Law Review — Glimpses of Its History as Seen by an Aficionado". Harvardlawreview.org. January 17, 1987. Retrieved March 10, 2015. ^ "ABA names Harvard Law Record best law school newspaper". Harvard Law School. Retrieved February 4, 2018. ^ Shammas, Michael (2015-09-09). "Donate to the Harvard Law Record". Harvard Law Record. The Harvard Law Record. Retrieved February 4, 2018. ^ "Harvard Business Law Review (HBLR)". ^ "Ruth Bader Ginsburg". Oyez.org. Retrieved December 17, 2017. ^ Agarwal, Tabu (May 15, 2016). "'Making of India' is more important". The Hindu. Retrieved December 17, 2017. Bennett, Drake (October 19, 2008). "Crimson tide: Harvard Law School, long fractious and underachieving, is on the rise again – and shaking up the American legal world". The Boston Globe. Coquillette, Daniel R. and Bruce A. Kimball. On the Battlefield of Merit: Harvard Law School, the First Century (Harvard University Press, 2015) 666 pp. Granfield, Robert (1992). Making Elite Lawyers: Visions of Law at Harvard and Beyond. New York: Routledge. Kimball, Bruce A. '"Warn Students That I Entertain Heretical Opinions, Which They Are Not To Take as Law': The Inception of Case Method Teaching in the Classrooms of the Early C.C. Langdell, 1870–1883," Law and History Review 17 (Spring 1999): 57–140. Wikimedia Commons has media related to Harvard Law School.